I came across this excellent tutorial in Everyday Family that made me want to give this a shot. I was exhilarated with the results. It is the first thing my guests notice in my sitting room. 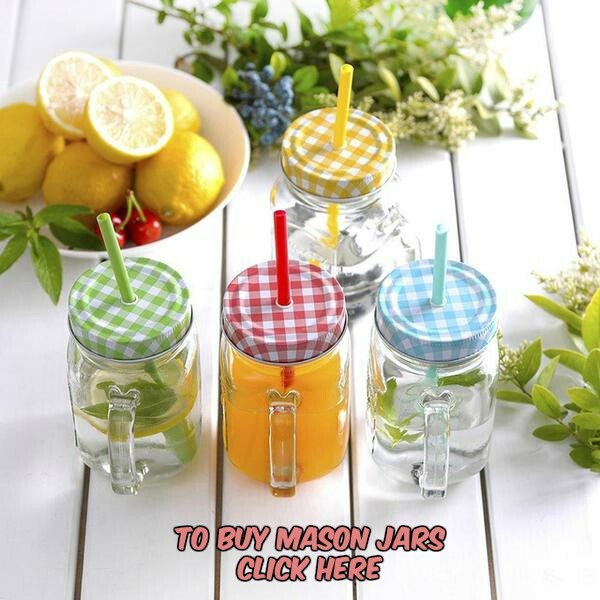 Place the lid of the glass jar on a flat surface. Center the socket of the kit on the top and trace its circular outline with the marker. With the help of the nail and hammer, punch holes along the outline. Place the holes close enough so the rest of the circle that are not punctured can be easily cut out with the scissors. Using the scissors sever the entire circle that you had outlined from the lid. The cut edges need not be perfectly smooth or regular. Put tiny additional holes around the large central one with the nail and hammer. These will serve for ventilation of your homemade light reducing overheating. Now, stick the socket through the lid. The rugged edges of the top cutout will help to hold the light socket in place. Put the socket ring over the socket end and screw it tightly. Screw in the light bulb. 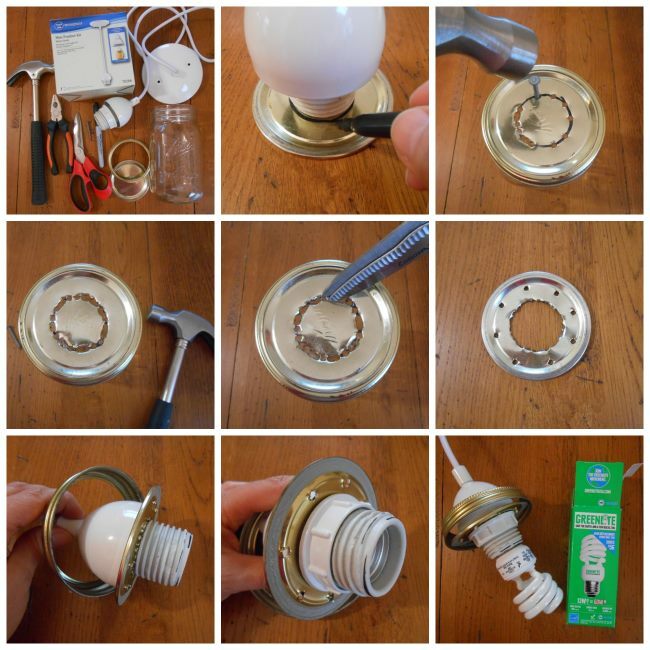 Then put the lid and the ring on the jar and screw them in place. Plug in the wire of the kit to a power supply that provides a voltage as suggested in the kit. Let there be light! 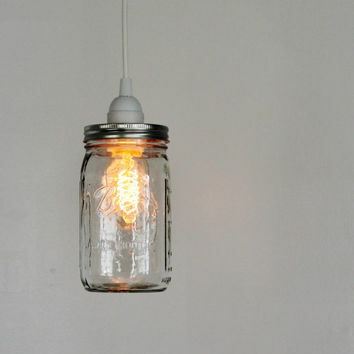 If you are searching for a soothing lighting option for a romantic dinner, a blue mason jar pendant lamp fits the bill. In case you plan to dine out in the garden, you can hang your pendant light from a tree provided you have an outdoor power supply. 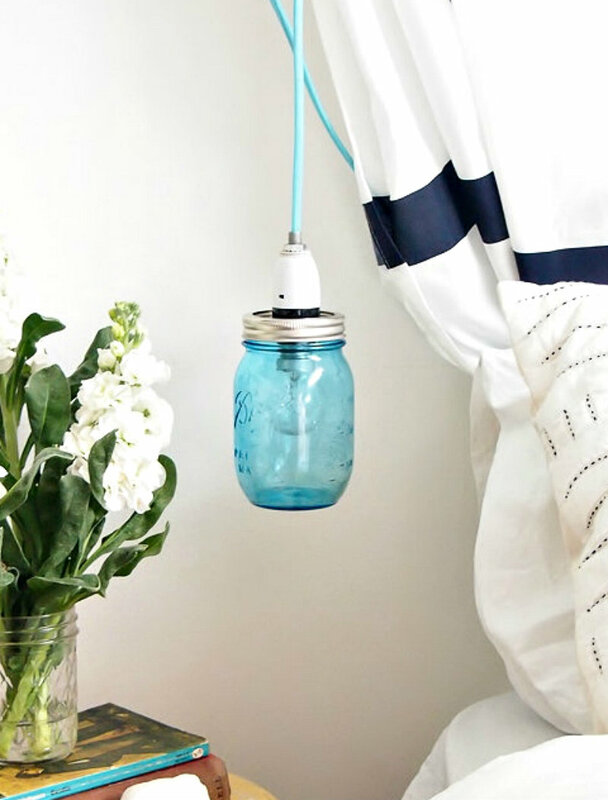 You can make your project one-of-a-kind by cutting the mason jar at the bottom thereby designing a stylish open bottom pendant light. 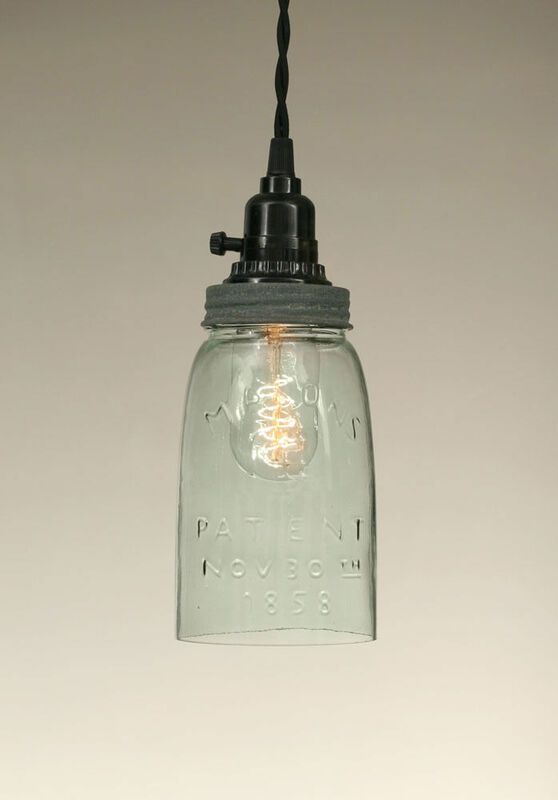 For that, you need to know how to cut glass off a bottle or jar the right way. 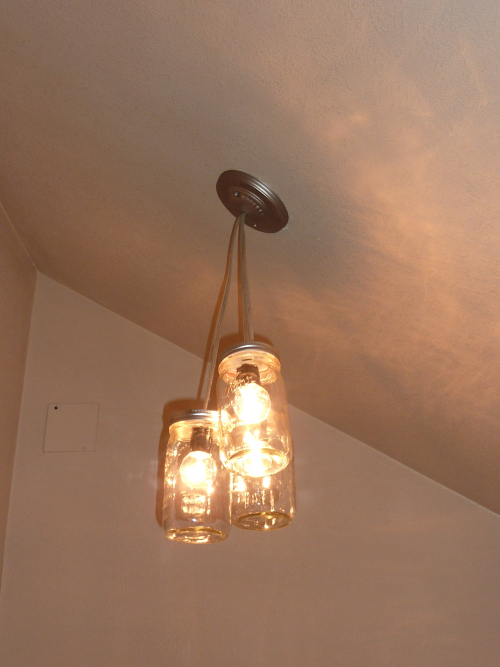 Club a handful of pendant lights together making a brilliant light fixture for your home. We are sure you will come up with more creative ideas as you engage yourself in making this handmade home decoration. We will be glad to hear you out on your views.